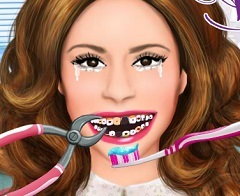 Let us go on with the new game for today and bring you again your friend, Violetta. The administrative team of games-kids.com has to offer you the mos beautiful online games with your friend. In this new game that we got to offer you have to help your friend, Violetta to prepare herself for a new day ar Studio 21 high school. Every day your friend gets up early to prepare herself for a new day. Violetta has a custom to apply every day different masks for skin hidratation and solar protection, also protection mask for make up. 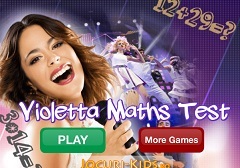 In this new game that we have to offer you will help Violetta to prepare for today. At first you will get all the necessary instructions to apply the masks and after that you have to use your tastes in make up to choose for your frinds. Because is just a regular day, Violetta wants to have a fresh make up and she knows that you will choose the best for her. 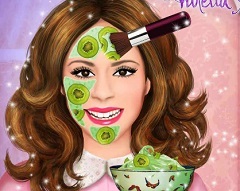 So, we invite you to join us and play this new makeover game that Violetta has to offer specially for you! this games are super!thank you.